For many people a blade coffee grinder is an affordable way to grind whole bean coffee, on demand at home. 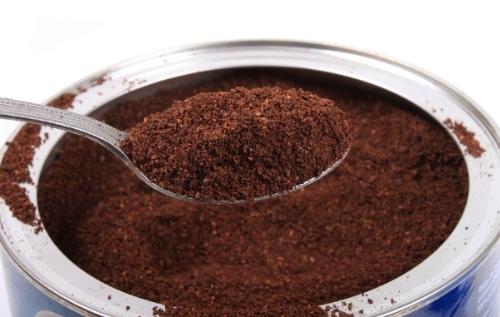 For many coffee enthusiasts, a blade grinder is not a suitable option for grinding beans. However there are few options that allow the quick grinding of beans at such an affordable price point. Christmas is a time of sharing time, memories, experiences & food with our loved ones. It's a time to enjoy a little decadence and indulgence. This year, Guide 2 Coffee has chosen to celebrate two flavours that work so well together, chocolate & mint. We have combined this classic combination into a drinkable, caffeinated delight for you to enjoy this festive season! Ever wondered why your latte is piping hot one day and luke warm the next? Or why the same Barista at your local cafe makes a rich full bodied coffee one time and the next day it's watery and weak? Brewing espresso is an exercise of consistency, this is why a Milk Thermometer and Timer are two necessary items for every barista. But why? Regardless of whether you are brewing coffee using a french press, espresso machine or any other kind of equipment there are a few key ingredients to ensure that you get the best tasting brew, each and every time! By following these few simple steps each time you make yourself a pot of coffee you will ensure that you have done everything possible to control the quality of the brew. Coffee powers productivity...right? Well if you are a lover of freshly brewed coffee, but have to suffer through the horrible instant supplied by your workplace then we have a solution for you. We take a look at the top coffee gadgets that you can use at your workplace to not only fulfil your coffee cravings but make your co-workers super jealous! Oh and no...there won't be any USB cup warmers on this list, it's all serious coffee brewing business here. Cappuccino, Latte or Flat White? lat White vs Latte vs Cappuccino, what is the difference between these drinks? To make it worse, there are so many options on cafe menus that the choices can be overwhelming! This definitive guide is here to clear the common misunderstandings that blur the lines between the drinks. The affogato is simple to make yet very versatile, we take a look at the basics of how to make an affogato and some interesting twists you might like to try. Creating great latte art is a learned skill, luckily if your looking to master the skill of producing great art for your cafe latte then look no further, this guide will take you through the steps of producing that elusive Rosetta or even a seductive love heart. The stovetop espresso machine is an easy to use coffee gadget that every coffee loving household simply must have. Stovetop espresso makers sometimes referred to as a Moka Pot, were originally invented in the early 1900's to deliver a coffeehouse brew at home and it became so successful that the original design has remained largely unchanged to the present day.